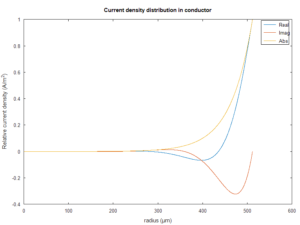 In developing and implementing A model of current distribution in copper clad steel conductors at RF reconciliation against some other published data was important. (Stewart 1999) published a set of measurements of the popular Wireman windowed ladder line products. His measurements were in the range 50-150MHz. They form the basis for most calculators on quantitative analyses at HF, despite the fact that it is a dangerous extrapolation for CCS construction. Nevertheless, the directly stated measurements at 50MHz are a useful calibration point for reconciliation. 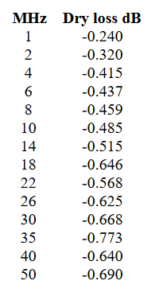 Above is Table 1 from Stewart, it sets out measurements of four Wireman m.products and a plain copper line. A model for current distribution in a conductor is that for a homogenous conducting half space with surface current parallel to the interface. Current density at depth d is given by the expression J=Js*e^(-(1+j)*d/δ) where δ is the skin depth (δ=(ω*µ*σ)^0.5, σ is the conductivity). DXE sell a nominal 300Ω ladder line, DX Engineering 300-ohm Ladder Line DXE-LL300-1C, and to their credit they give measured matched line loss (MLL) figures. Let’s start by assuming that the offered data is credible, let’s take it at face value. They make the common ham mistake of writing loss figures as -ve dB where in fact by definition they are +ve (MLL=10*log(Pin/Pout)). The line is described as 19 strand #18 (1mm) CCS and the line has velocity factor (vf) 0.88 and Zo of 272Ω. I saw a question posed online about the merits of a proposed antenna system which used a hybrid feed arrangment as 15′ (sic) of the feed line needed to be buried. Above is the poster’s diagram, and his posting lacked some important details so let’s make some assumptions. Lets assume the antenna is at 150′ in height above average ground, and since the dipole is long enough to be usable on 160m, let’s study it at 1.85MHz. 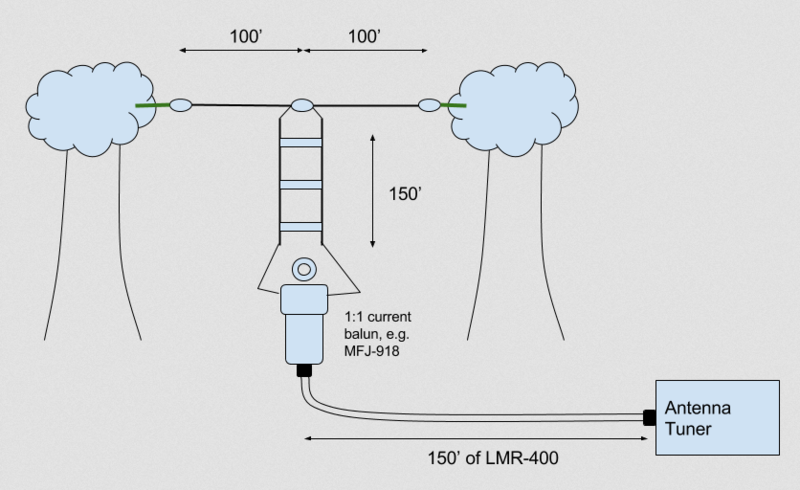 Input impedance of the dipole under that scenario is around 45-j400Ω. the hybrid feed arrangement shown. A ham in the need of help recently asked for advice on eHam about the use of Wireman Ladder Line and the like. Wire resistance (loss due to current ) is not a factor with higher voltages typically seen in high impedance antenna feed applications. Attenuation loss is a factor depending on dielectric properties in VHF and UHF frequencies. Their is little skin effect below 50 MHz in wire antennas and feeds. This comes down to line strength. I would go with the solid Copperweld for HF antenna work. 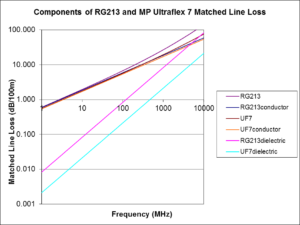 Messi & Paoloni Ultraflex 7 coax cable is being marketed as similar to RG-213 in performance, but 7mm overall (against 10mm). There is lots of comment by online experts questioning the claims, and critical of things like the braid coverage, copper foil etc, but without real evidence that it does not live up to specification. 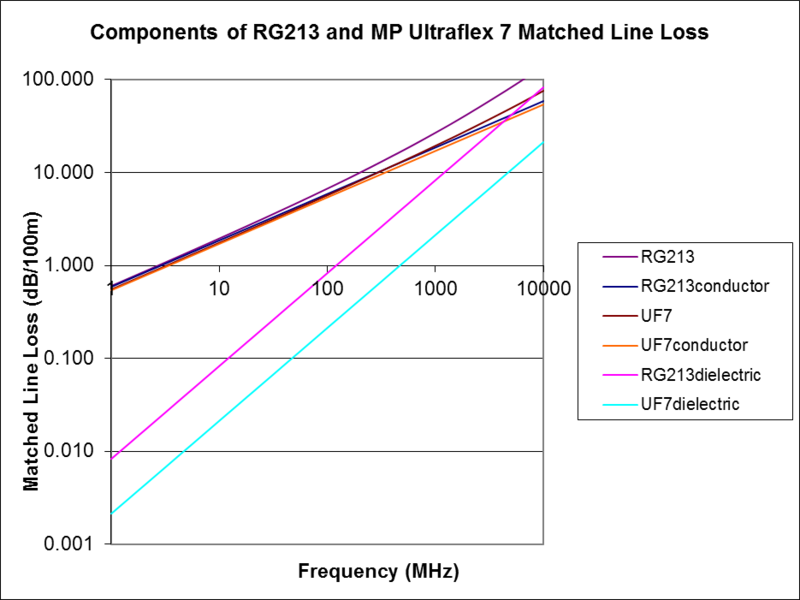 Accepting the specifications for Ultraflex 7 and Belden 8267 (B8267, RG-213) for a moment, how do they compare. 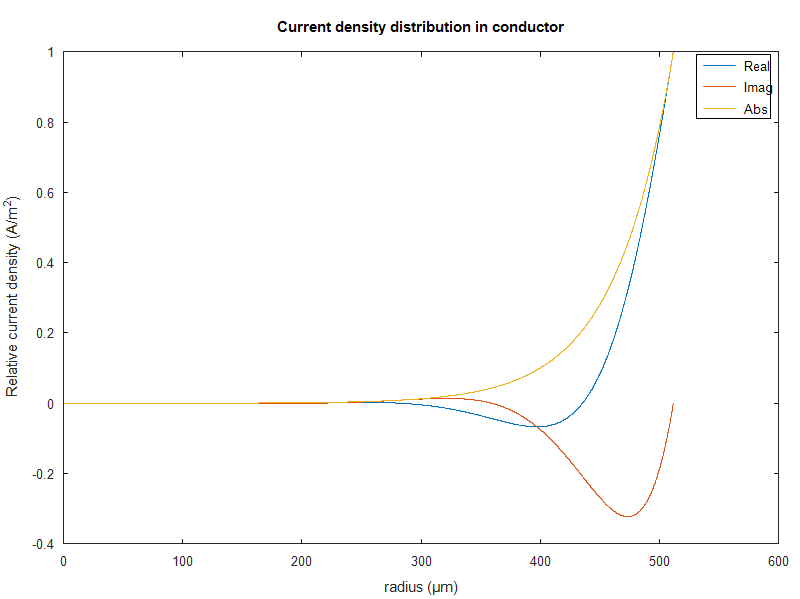 Let’s take the loss factors calculated for TLLC and de-construct the conductor and dielectric loss for each line type. 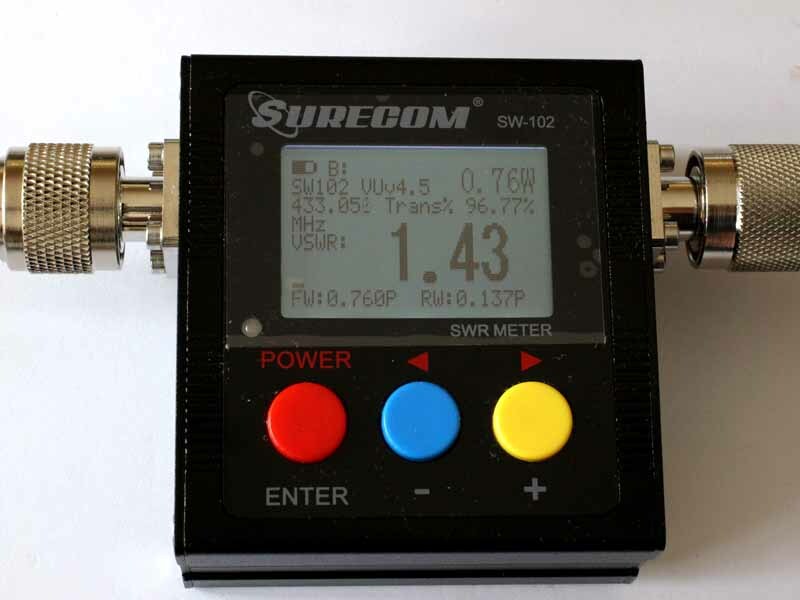 I recently purchased a Surecom SW-102 VSWR meter. It looked a little like a supercharged RedDot copy. 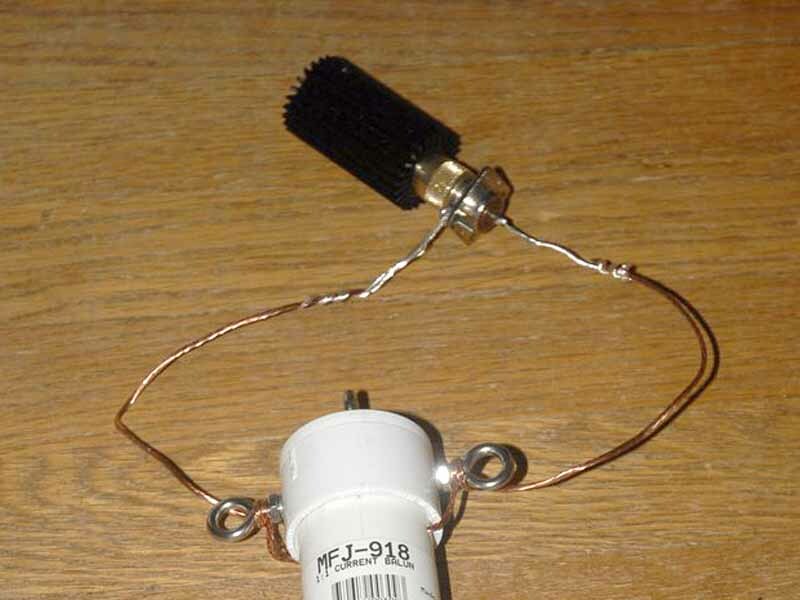 Does common mode current flow inside coax? The term “common mode current” applied to coaxial transmission lines is bandied about with abandon these days in online fora, awareness of its existence has increased if not understanding. A simplistic analysis is that in TEM mode, ONLY differential current is supported inside a coaxial line, ie that at any point the current on the outer surface of the inner conductor is exactly equal to a current in the opposite direction on the inner surface of the outer conductor. But, lets look at the wider context of the meaning of common mode current when a uniform coaxial line is connected to an antenna system. Whilst an antenna might have an obvious two terminal connection to the feed line, in the presence of ground, the current in those two terminals are not necessarily equal and opposite. Continue reading Does common mode current flow inside coax? A common task is to measure the velocity factor of a sample of coaxial transmission line using an instrument that lacks facility to backout cable sections or measure SOL calibration (as discussed in other articles in this series). The older models and newer budget models often fall into this category. The manuals for such instruments often explain how to measure coaxial cable velocity factor, and the method assumes there is zero offset at the measurement terminals (whether they be the built-in terminals or some fixture / adapters). In fact even the connectors are a source of error, especially UHF series connectors. It is the failure to read exactly Z=0+j0Ω with a S/C applied to the measurement terminals that adversely impacts efforts to measure resonant frequency of a test line section. The method described here approximately nulls out offsets in the instrument, measurement fixture, and even in the connectors used and for that reason may sometimes be of use with more sophisticated analysers.